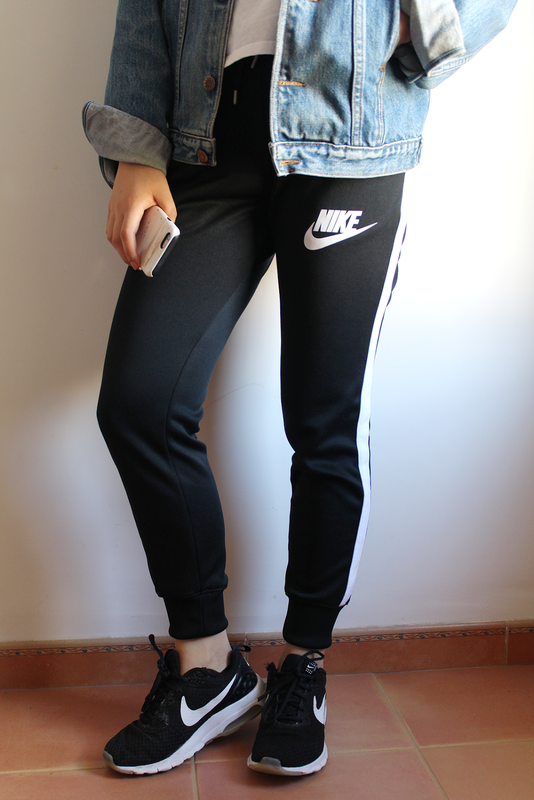 THE PERFECT JOGGERS | RAWR BOWS. Whilst I am not a jet setter just yet, I do travel back and forth between Spain and London quite often. A few years ago I always tried to look cute à la Victoria Beckham when boarding a plane. Now, I just try to be as comfortable as possible. It doesn’t matter how long the flight is, there is nothing I hate more than wearing tight jeans and having to sit down in that tiny seat with barely any leg space. I’ve also stopped wearing any make up whatsoever because dry airplane air + foundation = skin disaster. I am not one to share my outfits very often on my blog but I think I’ve found my go-to airport look and I don’t think I’ve ever been happier (that might or might not be a slight exaggeration). Most people reach for leggings when travelling - they look cute and it’s like wearing nothing. The problem is they’re not very warm and I always get a bit chilly in planes. 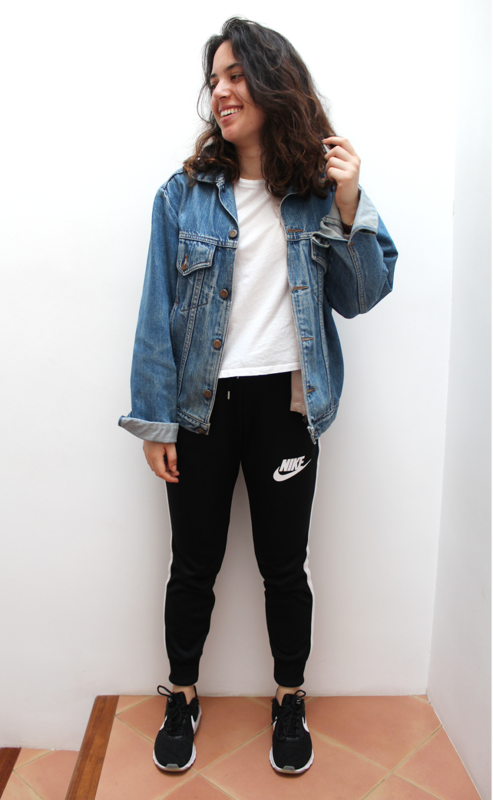 I paired my joggers with my black Nike trainers, a basic white top from ASOS and an oversized denim jacket. Because the outfit was quite simple I added some accessories - my Daniel Wellington watch, a Kate Spade gold bangle and some earrings. 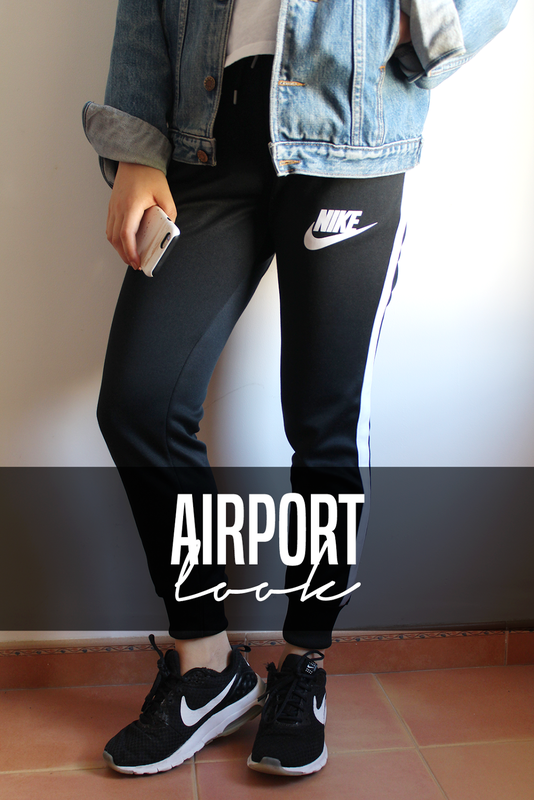 Et voilà, you have the perfect outfit for the airport!